The Kizlyar Supreme Safari might look like a monster chopper, but it’s actually a well balanced slicer. 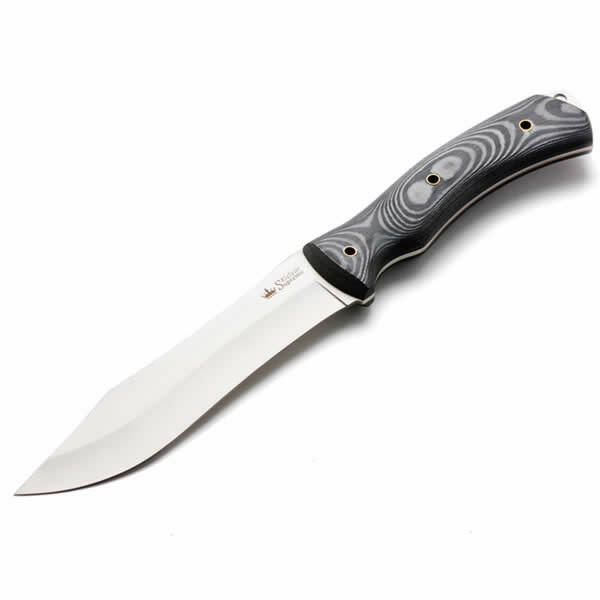 The thin 6 1/4″ blade and hollow grind make for surprisingly precise handling in such a long blade. The blade features a slight recurve, a big belly and a thin point. The spine features a slight thumb ramp. The AUS8 stainless steel takes a keen edge and is easy to touch-up in the field. 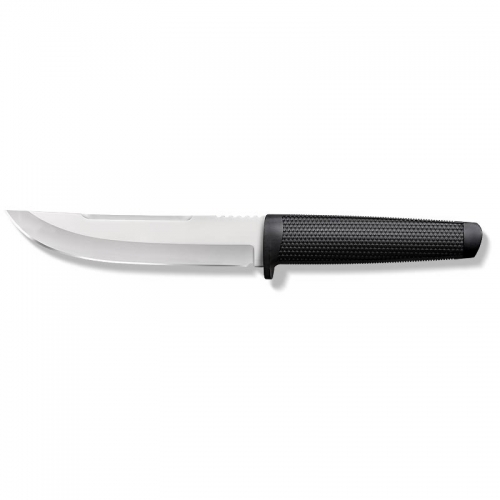 The 3D textured Micarta handle provides a sure, comfortable grip for extended cutting sessions. A kydex sheath is included with a Removable/Rotatable clip for high or low carry options. The first time you pick up the Safari you get the feeling it’s just begging to be used. Made by Kizlyar Supreme. 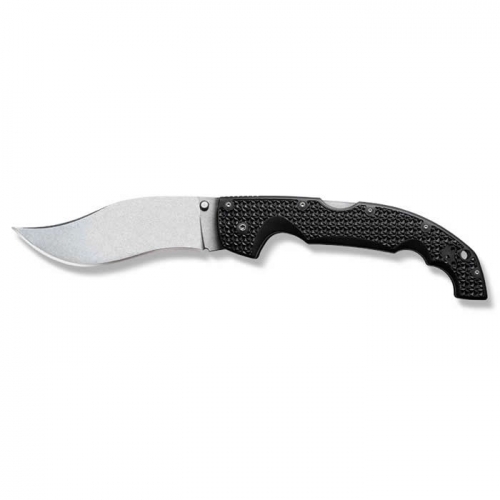 Key Features: Ergonomic Micarta Handle Slabs Aus-8 Steel with Satin Finish Kydex Sheath with Removable/Rotatable Clip Made in Russia Overall: 12″ Blade Length: 6.25″ Handle Length: 5.5″ Thickness at Guard: 5/64″ Blade Steel: AUS-8 Handle Material: Micarta Specs will vary slightly from piece to piece.